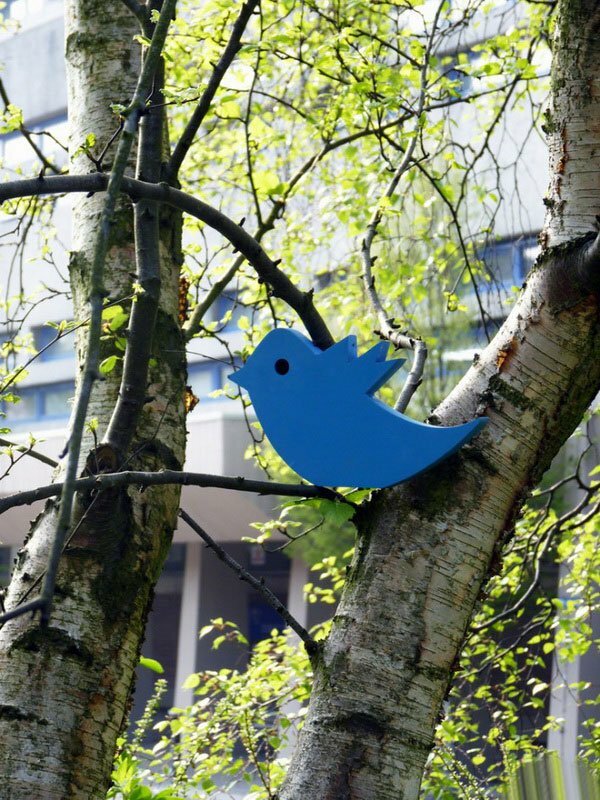 Krieytory, marketers and community managers are increasingly working to create a tie detail between the virtual and real life. 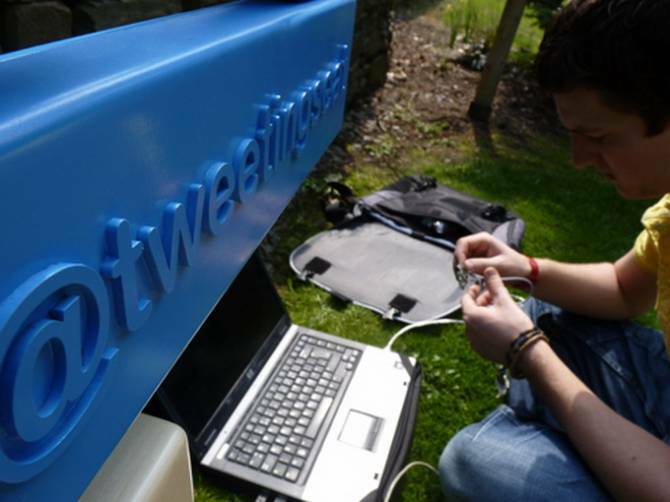 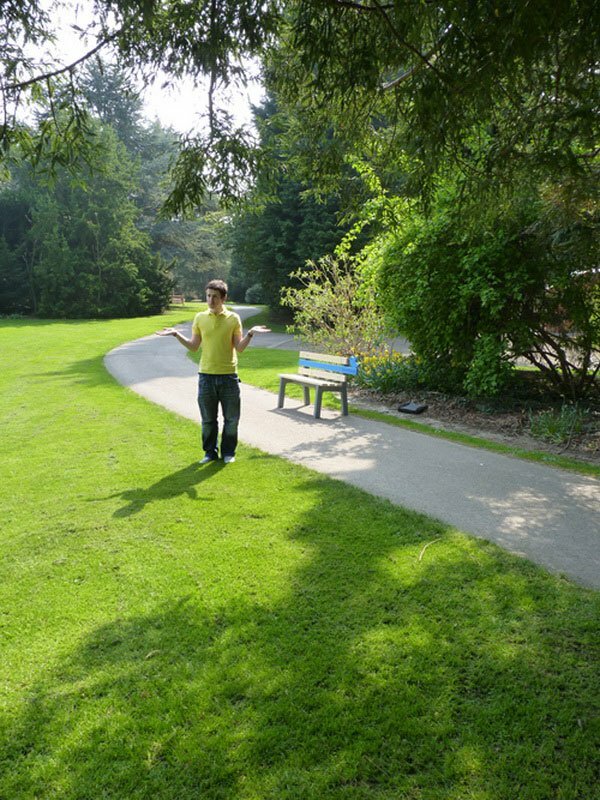 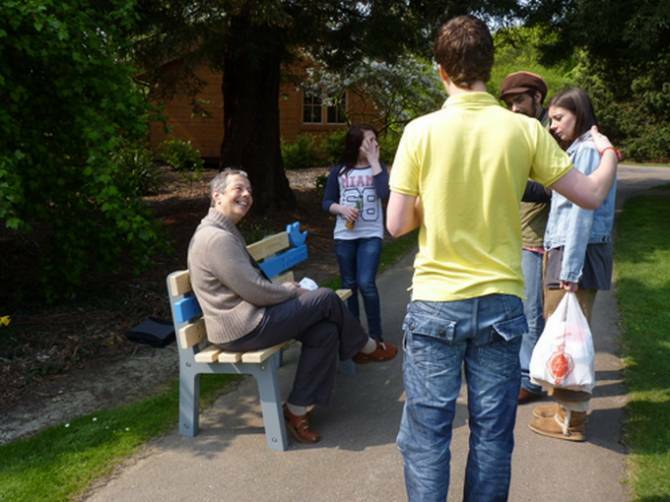 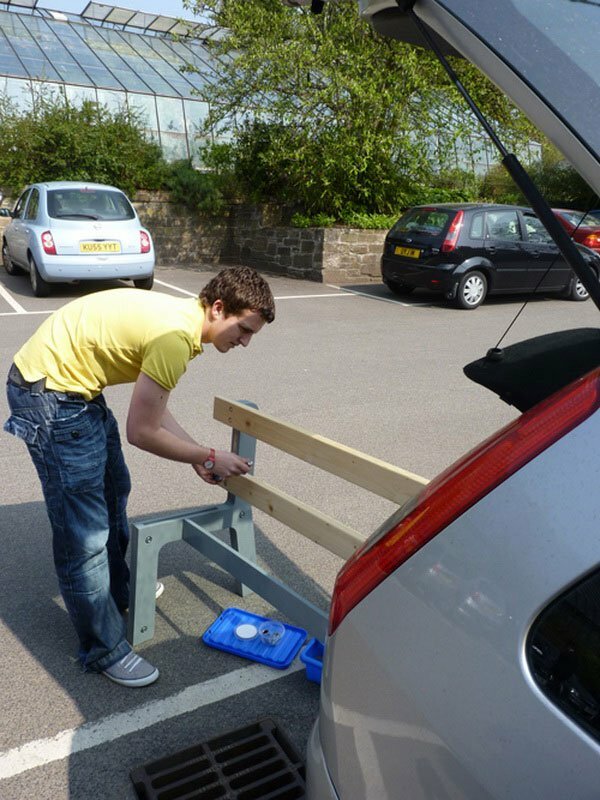 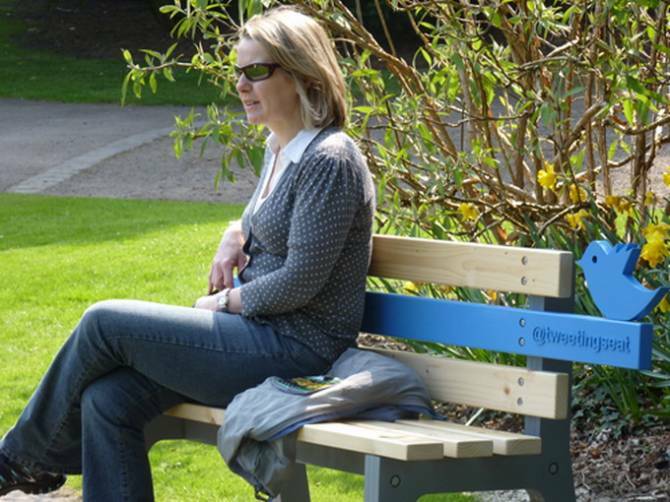 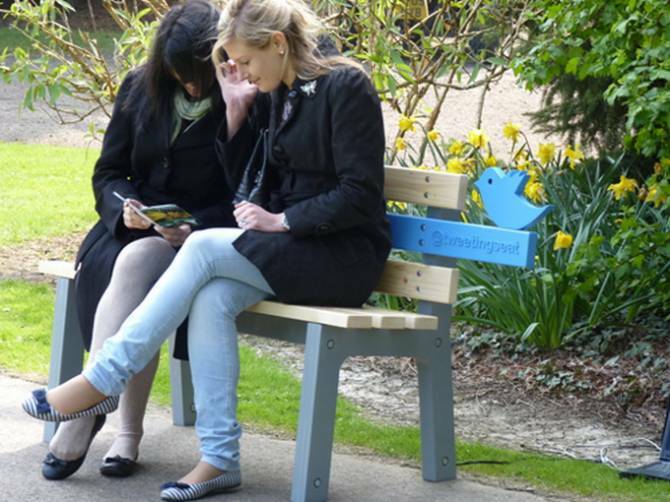 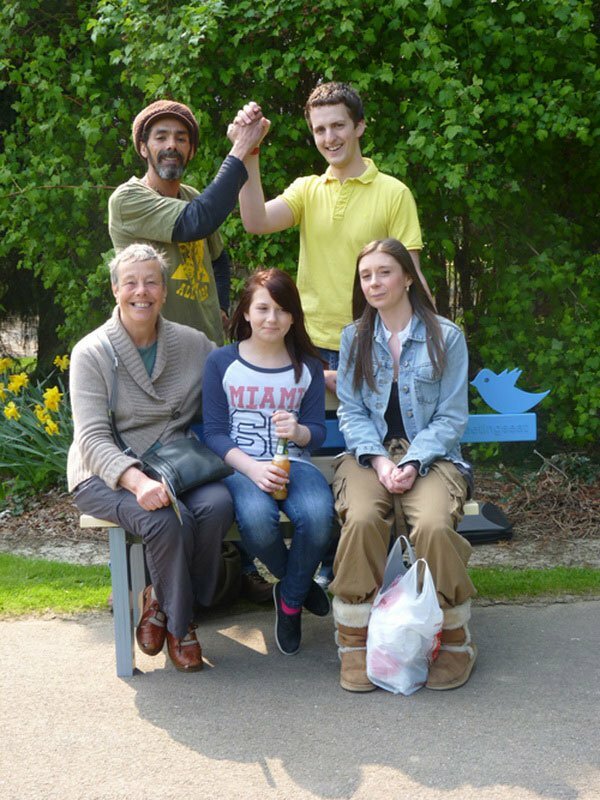 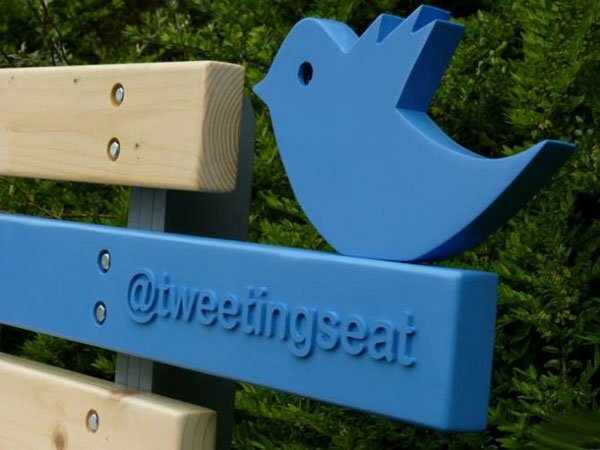 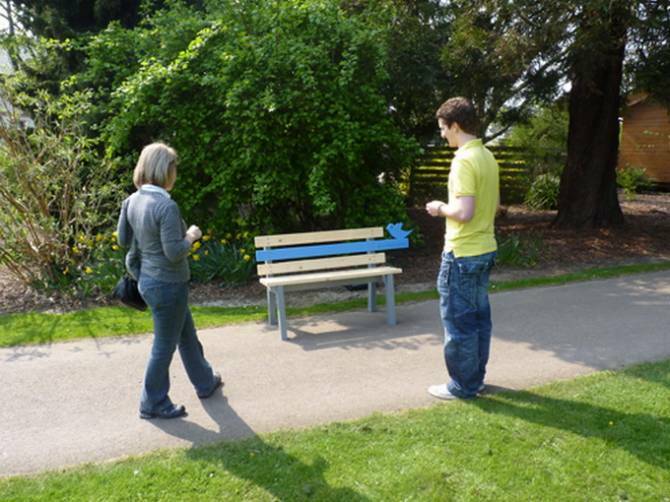 English designer Christopher McNicholl created “TweetingSeat”, an interactive public bench, which has its own Twitter-account. 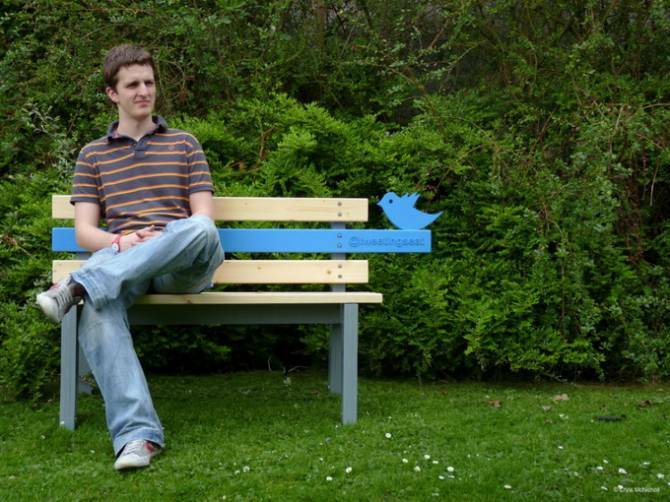 One camera is mounted in a bird’s eye, which adorns the bench, the second is placed in a tree in front. 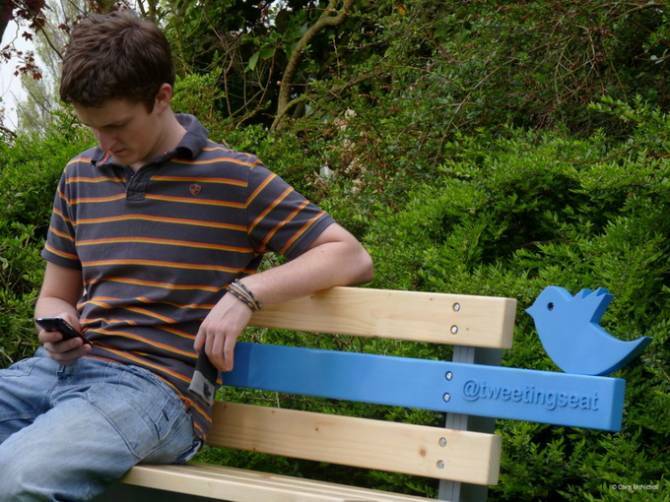 Thus, in the field of vision of webcams get people who sit on the bench and their pictures and videos are broadcast directly to twitter.